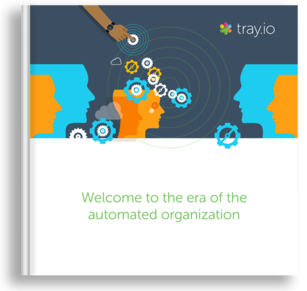 In this eBook, “Welcome to the era of the automated organization” Tray.io surfaces critical trends it sees in its customer base of Fortune 500 and fast growing business in their adoption of emerging technology and processes. Be at the forefront of this significant shift ushered in by Amazon.com, Netflix and other innovative companies. Read proprietary insights that only Tray.io can offer given its unique vantage point at the center of the integration and automation technology ecosystem. To see exactly how you can seize this new era, download this eBook. We believe that any business professional should be able to easily connect their entire cloud software stack and automate complex processes in order to scale their growth.